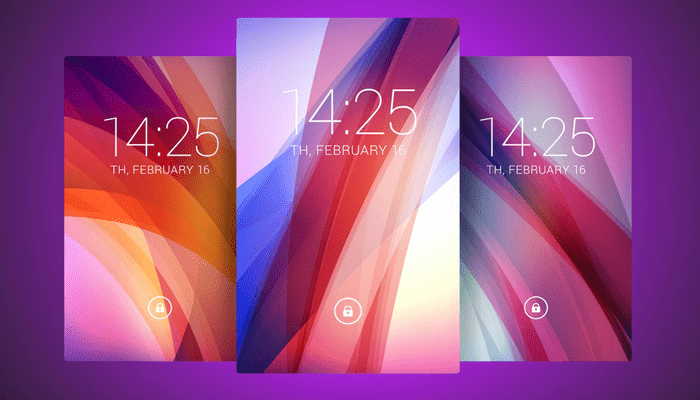 Every user needs best wallpaper apps for Android to enhance the look. To decorate the front screen of a smartphone, tablet or PC, we always need wallpapers. Like a book, Wallpapers are the front cover of a digital gadget which has a display. According to Wikipedia, A wallpaper or background is a digital image used as a decorative background of a graphical user interface on the screen of a computer, mobile communications device or other electronic devices. HD Android wallpapers create a unique image among friends. That’s why we always need cool wallpapers for android. I have a basic Nokia phone which resolution is too low. So, I always prefer small size wallpapers in it. However, resolution of my Pixel phone is too much higher than the Nokia, and it doesn’t look good with a low-quality image. 90 percent of people have Android phones, and they always want to customize their phone with stunning wallpapers. If you are like me who always searches for cool and attractive wallpapers for the Android screen, then this is the right place for you. Here I have listed some of the free as well as paid wallpaper apps for Android phones and tablets. You can also check the best Keyboard apps for Android with emoji here. This is the simple wallpaper app available in the Google Play Store. It will not win any awards by default of these being Google. It’s on this list because it is a no-frills wallpaper app for Android with a few gorgeous choices. Google has many alternatives across different categories, such as landscapes, cityscapes, and even seascapes. And there’s a beautiful choice of free live wallpapers for those wanting something more vibrant. Kappboom is another one of the most popular wallpaper apps available for Android devices. The ranked one wallpaper app has more than 200,000 images that you can choose from. It is significantly simple to get around so you can find pictures quickly. Either you can save an image t the gallery or can set it as a wallpaper. You get thousands of images as a category wise. Try it now, and you’ll surely love it. It’s completely free. Backdrops is a better option if you’re looking for good wallpapers. It comes in a variety of styles together with some modern features. It has been my personal favorite wallpaper application for quite a while. When people ask “what wallpaper is that” I usually direct them to Backdrops. All the backgrounds in the app have been produced by the Backdrops team. It’s one of the best wallpaper apps you should use on your Android phone. Backgrounds HD Wallpapers is one of the best wallpapers HD app for Android available due to the extensive variety of pictures within it. All the pictures are of top excellent quality. This app is loved by 100,000,000 users worldwide because of it daily updates of free and excellent wallpapers. Compared with some wallpapers programs that aren’t well structured, this one is set out very well to make looking simple. It is simple, fast and light, and the best part is, it is completely free. Within this list, this is the first app that’s featured on Google Wallpapers program. Walli is a creative background program which includes a high quality, selective collection of unique and fresh wallpapers exclusively produced by musicians, to your device. It requires a similar approach to Backdrops. The app is well-designed and allows you to enjoy art so you can find it easily later. The wallpapers can be found in a number of dimensions. The UI of the Wallzy app is really awesome. I have been using this app for last three months, and I can say it is one of the best free wallpaper apps for Android devices. If you don’t like the ads, then you can purchase the Pro version also. There are four sections you get in this app; Hot, Exclusive, Collections and Favorites. It sends you a unique 4K wallpaper every day. There are thousands of apps available in the collection, and it is regularly increasing. After choosing an image, you can save it to your phone or set it as wallpaper or customize it. The best part is, you don’t need to wait until the download; then app notifies you once the download completes. Mobile9 is one of the best mobile sites for downloading wallpapers, ringtones, apps, eBook and more. The app provides not only pictures but also ringtones, themes and more that you can obtain. Mobile9 app brings the great quality picture, enhanced for your mobile from it’s on the internet data source. After you download an image, you can crop and set it as the wallpaper right from the app itself. The app has a large selection of picture that you can select from, and all of them are classified for the convenience of routing. 9Apps is a tiny application with a big package of apps, wallpapers, ringtones and many more. This one of the wallpaper changer app for Android. It feels smooth to use and obtains less space on your Smartphone. When you select an app, you want it to be secure and efficient, and these are not problems with 9Apps. The HD pictures are enhanced for your screen dimension, so you don’t have to fear about modifying the picture to create sure it fits; the app manages that for you. You can directly download an image to your gallery or can set it as wallpaper. These are the best wallpaper apps for Android 2018. Believe me, after using these five applications; you will never get out of stock from beautiful and High-Quality wallpapers. Check them now and share your experience with us.